Find My Workspace lists over 95% of the executive office suites market in Pittsburgh. Simply click Request Quote to check pricing for one office, or Add to Basket for multiple offices. Pittsburgh, Pennsylvania - 45th St. The site of the former Boys’ and Girls’ Club in Pittsburgh, Butler St. Lofts pay homage to the building’s history as a community and learning space with a unified approach to coworking, office, meeting and event spaces. This center off of Butler St. is the perfect location for local creative, design, and non-profit teams and individuals who require private office space and a prime Lawrenceville location to host events of all size and scale. Pittsburgh, Pennsylvania - 5th Ave.
Thoughtfully designed and equipped for individuals and small organizations, local residents, and visiting businesses, The Corner is the place to do business and grow your community. Entrepreneurial development at The Corner is anchored by LaunchBox™ programming. A signature program of the Invent Penn State initiative, Corner LaunchBox™ provides entrepreneurs a 10-week accelerator, plus co-working space, legal and business advice and resources to bring their ideas to market. This center is located in the heart of Downtown Pittsburgh on Liberty Avenue in a historic building constructed in 1900. Combining the history of the building and city with a modern touch, this space provides a gorgeous, affordable, amenity-rich space for businesses and growing firms from 1 to 100 employees. As a member of this center, you’ll have access to the kind of high-end amenities that typically only large companies enjoy, including a fully-stocked kitchen and bar, lounge areas, espresso bar, local beer on tap, and 100 Mbps direct fiber internet with WiFi throughout. The private offices and office suites are fully furnished with desks and chairs, and you’ll find them move-in ready with everything you need to grow your business. Plus, the all-inclusive pricing means that utilities and taxes, 24/7 secured access, mail service, a dedicated Community Manager, and company logo display come at no extra charge. This creative and highly innovative workspace provider is situated in what was formerly the home of the historic Nabisco Factory, in 1918 and is now one of the region’s foremost and most highly prestigious corporate venues. Now the newly renovated open-air retail office design with a vibrant yet professional atmosphere is home to this business center. 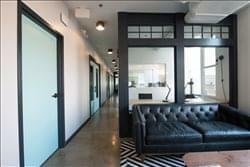 Offering fully equipped and furnished shared and private office space. The space has been designed to encourage opportunities to connect and collaborate with other professionals who also work in the space by garnering an exceptionally vibrant and collaborative working environment conducive to productivity and inventiveness. This innovative workspace offers both private, glass office options as well as coworking spaces for easy collaboration, catering to a variety of business needs, spanning across growing companies to established enterprises. The space offers amenities such as craft coffee and local pastries, phone rooms, common areas and even a private Mother’s room. Situated on the 31st floor with large windows, members also benefit from beautiful, panoramic views of the city. Pittsburgh, Pennsylvania - Penn Ave.
A vital entrepreneurial node and springboard to Pittsburgh’s creative business scene for a decade, in the Liberty Bank Building, is six stories of coworking and office suites, with integrated food & beverage planned for summer 2018. Located just off the 71B bus route in East Liberty, this workplace is a complete urban life space perfect for local East End residents, growing teams, and organizations looking for an off-site meeting venue. Sharing the same neighborhood as Bakery Square and Google’s Pittsburgh offices, Ascender (a continuation of Thrill Mill) in partnership with This center members will receive a unique and all-encompassing business experience. 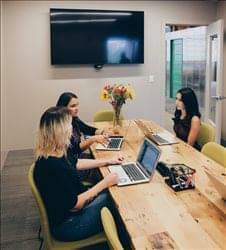 Desk, office, and corporate membership options are available at this state-of-the-art, 11,000 sq.ft coworking space with events and programming curated and led by the Ascender team. This unique shared office space is situated in a renovated convent located in a quiet Mt. Washington neighborhood. 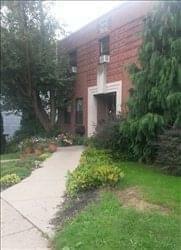 It enjoys an atmosphere of camaraderie in a casual professional office setting. 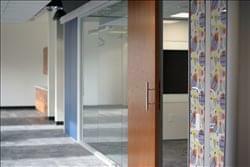 There are 24 individual offices located over 3 floors, furnished or unfurnished, each with a window and closet. There is plenty of common space, including a full kitchen, copy center, work room, conference room and outdoor deck. It includes free parking, and the office lease is month-to-month. Move-in ready offices and office suites in a beautifully restored building in the heart of Pittsburgh’s Central Business District. Light-filled and elegantly appointed with all the amenities of the modern office: meeting rooms, high-speed wifi, kitchen, phone booths, lockable storage, and an event space.